Photograph by Ryan Hake and Shane Pequignot for Annie's Publishing. Used with permission. 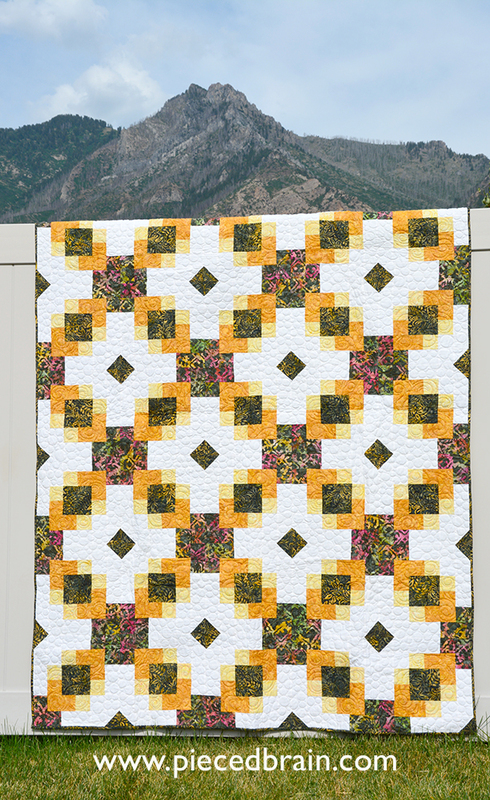 "Autumn Trails" is my newest quilt pattern published by Quilter's World magazine, Autumn 2017 edition. It features Tonga Vineyard batiks by Timeless Treasures forming a beautiful 3-D design. 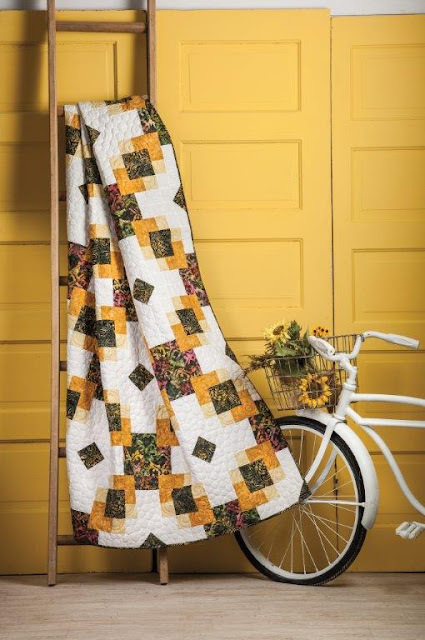 I am so glad to have this quilt back from the publisher! It measures 60" x 84" with 12" blocks. I chose the fabric values very carefully so the design would pop from the white background. 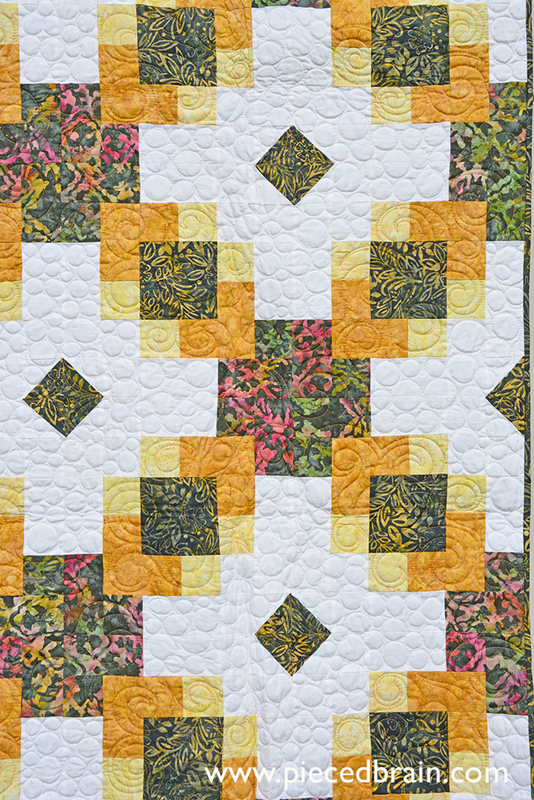 It was expertly quilted by Sew Shabby Quilting with circles on the background and swirls on the prints. I like how Melissa changed thread colors, too. This is a one-block quilt, super easy to make with wonderful results. It would look great with other fabric combinations, too. Aren't these rich color batiks amazing, though? The Autumn 2017 issue of Quilter's World magazine has gorgeous photography and fall projects sure to inspire you. 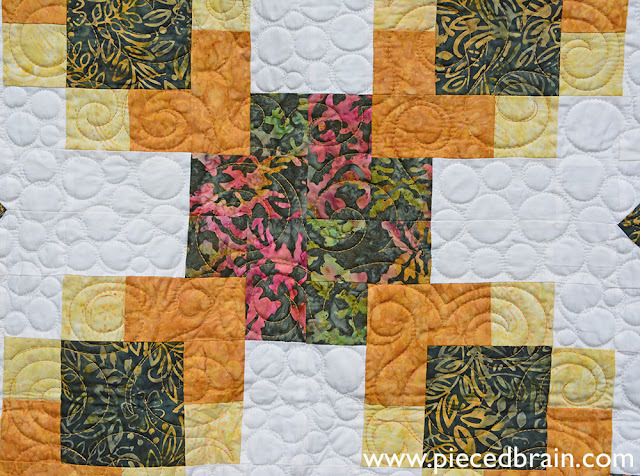 It also includes another one of my quilts which I will show you on my next post. Beautiful and such great colors too. That is just beautiful. 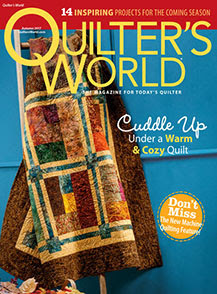 I can't wait to see it in Quilter's World! Congratulations. It's lovely, great pattern! Such a pretty finish! My favorite colors, my favorite season.....love this quilt!